The Odyssey event for Smite is without a doubt the biggest in-game event of the year for the game. From September until the Smite Championships in January, Hi-Rez will release weekly cosmetic items from new characters skins to new wards and more. Those who happen to purchase every single item that’s release under the Odyssey event will be awarded with the rarest skins in the game, such as the Archon Thanatos and Ragnarok X Thor skin from the previous two Odyssey events. However, this year is seeing a big change in terms of who gets the highly coveted Tier 5 skins. Not only is Hi-Rez going to allow the Smite community to vote for which character will get the skin, they will also exclude the Assassin class from being eligible from receiving it, seeing as the previous two characters also happened to be Assassins. Speaking of the community voting for the new Tier 5 skin, the first stage is now live which sees the Smite playerbase pick which class will receive the skin. Voting period ends July 25th. Additionally, with the Valkyrie Reloaded patch is now live on the PC and is soon to come sometime next week for consoles. Hi-Rez will be having another “double everything” event where the Smite community can earn double the favors, worshipers, and XP if you’re playing in a party of two or more. It’s is a perfect time to get either Fafnir or Freya to rank 10, as they’ve received new master skins with the latest patch. Finally, it seems that Hi-Rez is making a small change to the Summer Of Smite content from releasing one item per week to two items during a patch week. This also means that, at least on the PC, both the Land Shark Sobek and Ace/Challenger Nu-Wa skins are available as of now. 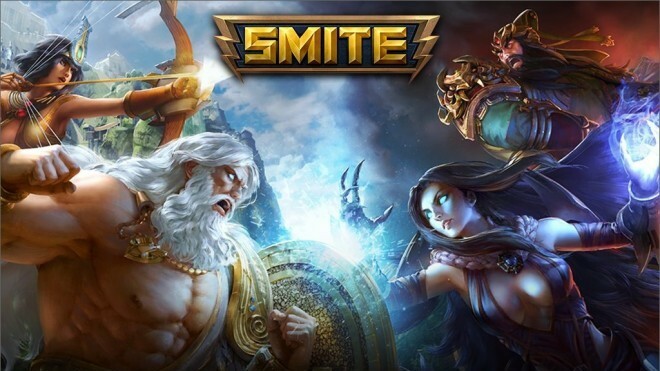 Smite is a free to play third-person MOBA for the Mac, PC, PlayStation 4 and Xbox One.